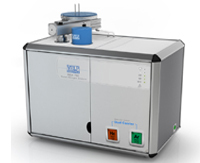 VELP Nitrogen/Protein Analyser Model NDA 701/702 for quantitative determination of nitrogen in chemical substances. Suitable for an automated instrumental technique has been developed which is capable of rapidly measuring the total nitrogen/protein concentration of nitrogen analysis from feed, grains, cereals, dairy products, fish, meat, fruit, nut, fertilizers, plant, soil & sediments and food samples. VELP's has an innovative solution for protein content determination by combustion of food and feed samples and evironment samples offering interesting results in terms of perfomance. 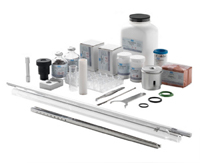 Contains all parts and reagents necessary for approximately 1000 analyses Combustion and reduction tubes Reagents and instrument fittings Pre-packed solution for saves time.